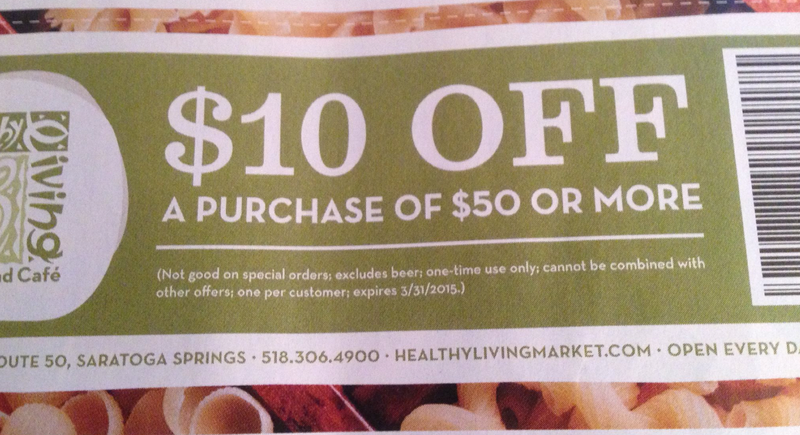 Local readers: There is a $10/$50 at Healthy Living Market in the new March-April issue of Clipper Magazine (Localflavor.com). For Saratoga Price Choppers this is a good coupon to use as a competitor coupon! There is a FREE adult admission to The Saratoga Children's Mueseum w/ child admission as well!